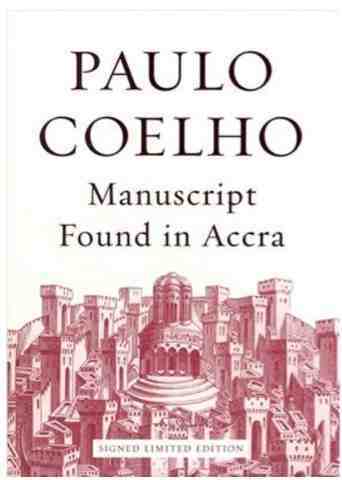 I'm currently reading Paulo Coelho's Manuscript Found in Accra. It features lessons from scripture manuscripts found in Egypt. Each chapter follows a theme in the form of a question. Topics range from love, change and anxiety, to travel, defeat and solitude. It's an easy read for anyone who needs inspiration or reassurance that their feelings are universal, and something is looking out for them. 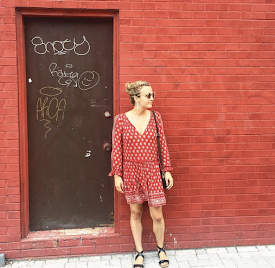 As I mentioned, my largest concern with solo traveling was the feeling of being alone. It is a strange fear for me as I've always been an independent person, and as a writer I spend a lot of time by myself and in my own head. I like that time to myself, but I also crave the surroundings of my social circle and family. Thus far in Florence, I've been surrounded by new acquaintances, but still have the quiet time to myself. I believe anyone who fears being alone fears what they might find out about themselves when they stop to listen. Below is this week's mantra from Paulo Coelho. Enjoy! "Blessed are those who do not fear solitude, who are not afraid of their own company, who are not always desperately looking for something to amuse themselves with, something to judge. If you are never alone, you cannot know yourself."